An unofficial web site dedicated to supplying fans with information on Christopher Reeve. 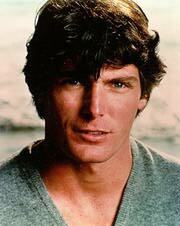 This page is dedicated to giving you information on Christopher Reeve. It is in no way officially connected with the Reeve family. Remembering Christopher Reeve - Tributes on the death of Christopher Reeve. News Reports - Information on reports in the media. Biography - Information on Christopher Reeve's life. Online Shop - Your one-stop online shop for buying Christopher Reeve related Books, Audio CDs and Cassettes, Videos and DVDs. 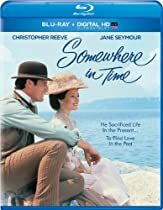 Movie Reviews - a listing of Christopher Reeve's major motion pictures and TV appearances, with detailed information and reviews. Nothing Is Impossible - Information about Christopher's book. Autobiography: Still Me - Information about Christopher's autobiography. Contact Information for Christopher Reeve's family and the organizations he was associated with. Have Your Say! - Interact with other Chris Reeve fans using the Message Board, Guestbook, WebRing, Chris Reeve Club and Virtual Postcards. Photo Gallery - Browse through our extensive gallery of Christopher Reeve photos, pictures and other related images. Sounds & Songs - Christopher Reeve related Sound files to download and Lyrics to songs relating to the Reeve family. Transcripts - This page lists many transcriptions of Online Chat sessions conducted with Christopher Reeve, transcripts of his most famous keynote speeches, important government documents, and other editorial writings. Mailing Lists - Christopher Reeve and SCI Mailing List information. Other Websites - Links to other web sites about Christopher Reeve. Search - Type in the word(s) describing a topic or subject you're interested in, and let our Search Engine find the relevant page within this website for you. Also a search engine for finding up-coming Christopher Reeve related shows/movies on television in your area.